A fresh standoff today erupted between the Centre and the Supreme Court constitution bench which has initiated steps to improve the collegium system with Attorney General Mukul Rohatgi going back on his assurance to formulate a draft memorandum of procedure for appointment of judges to higher judiciary. Justice Khehar also chipped in saying “You as an officer of the court had agreed to our suggestion Mr. Rohatgi and that’s why proceeded on the presumption and assumption”. “It is not possible for us to submit a draft for judicial discussion. Either we ourselves do it our your lordship may pronounce a judgment on the formation of a secretariat for collegiums, fix appointment criteria and decide on how to deal with the complaints and we shall implement it or follow it . If the whole thing is finalized by the government the role of chief justice is finished" said Rohatgi. The government is apparently believed to be upset after its bid to replace the collegium system was thwarted by the Supreme Court recently. It is to be noted the during the hearing yesterday senior advocate Gopal Subramaniam had opposed the apex court's direction to the Centre arguing "suggestions are welcome" but the executive cannot be allowed to draft even the draft memorandum. He referred to the judgement, striking down the National Judicial Appointments Commission Act and 99th constitutional amendment, and said the prime reason for his objection was the endeavour to protect judicial independence and hence, the executive cannot be allowed now to have a role. “You (Subramaniam) are jumping the gun. They are not going to issue MoP. Everybody is seeking transparency and there are no sides. The government also intends to make it transparent and broad-based. We are just taking their inputs as it is a very important stakeholder.We may or may not accept their suggestions. We have struck down their NJAC. You think we can't flick out a mere clause in their draft MoP. Nobody can interfere in the process. You are just assuming that this is fait accompli,” a five-judge Constitution bench headed by Justice JS Khehar had said. While striking down the NJAC Act, the apex court had - in an unprecedented move - invited suggestions from all those who desired to improve the "collegium system" of judicial appointments. 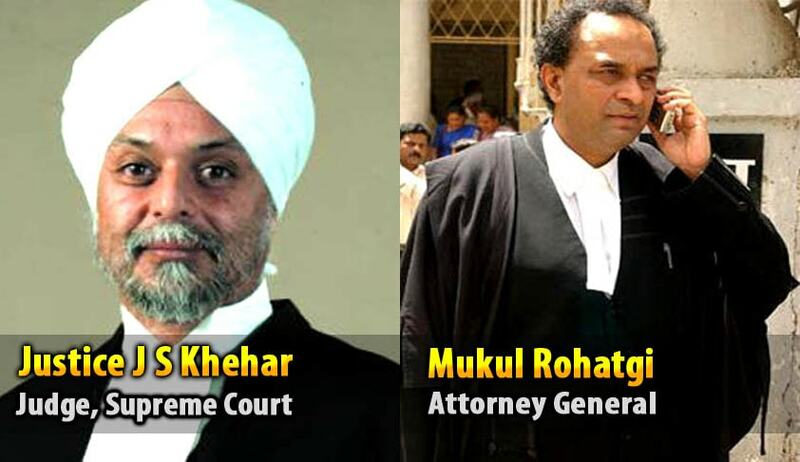 Read more news about Collegium hearings here.